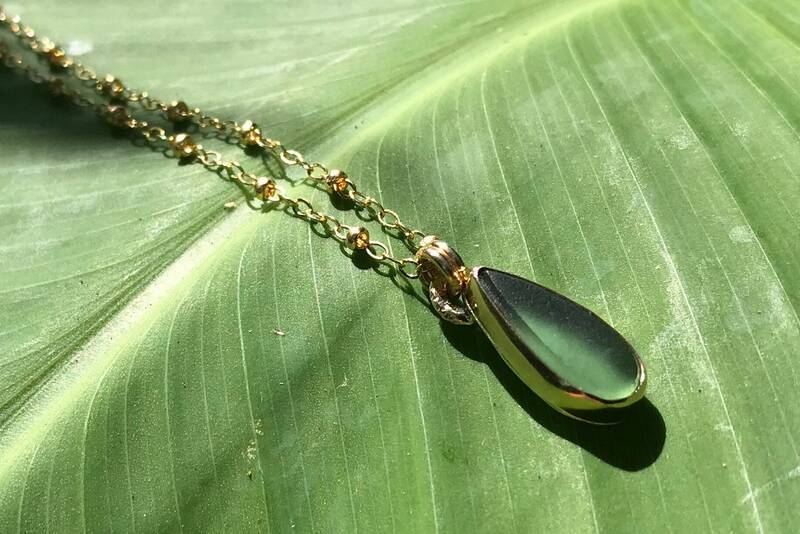 Forest green sea glass formed into a long tear drop shape, 15mm x 7 mm, inside a straight 14k gold fill bezel with a sterling silver backing on a beaded 14k gold fill cable chain, a favorite amongst my clients. READY TO SHIP! Choose your length at checkout. 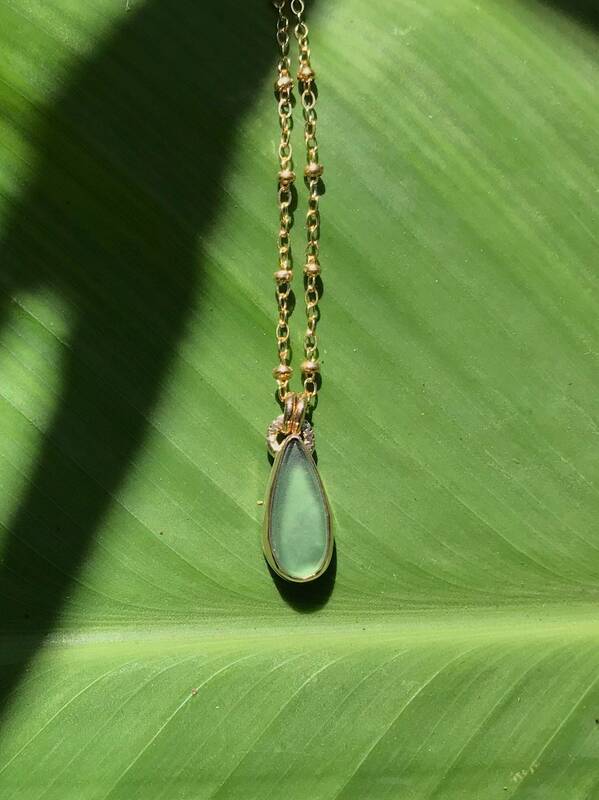 Handmade with love in Puerto Rico. 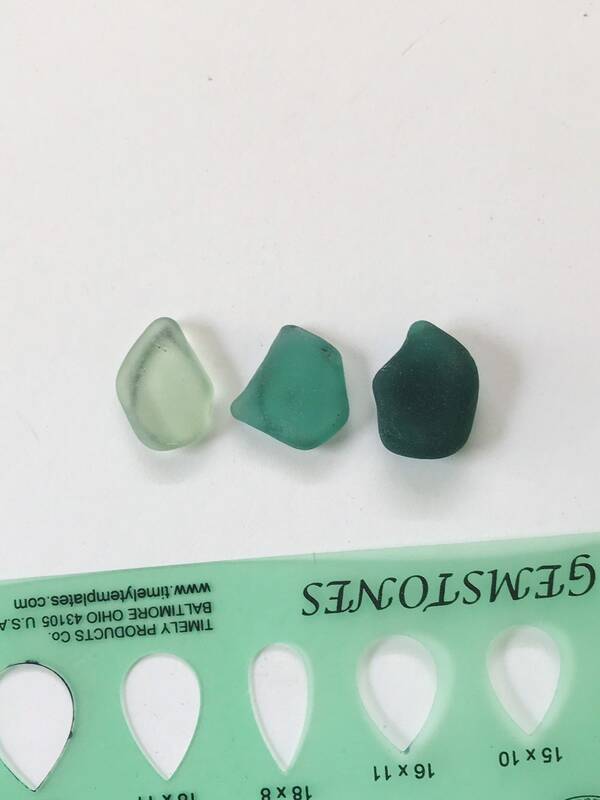 WHY IS SEA GLASS SO SPECIAL? 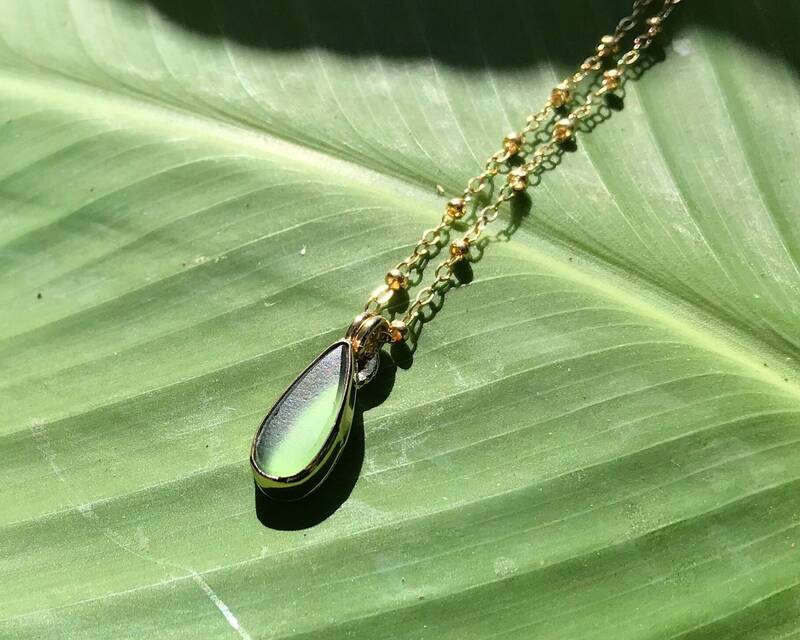 - It's upcycled, sustainable & eco friendly. 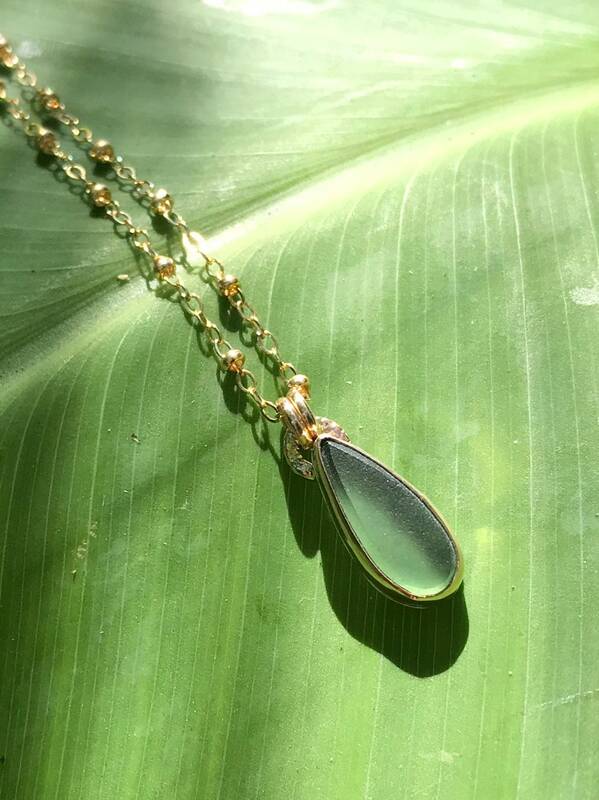 - By wearing sea glass you are showing not only your appreciation for the ocean but for earth friendly jewels as well. 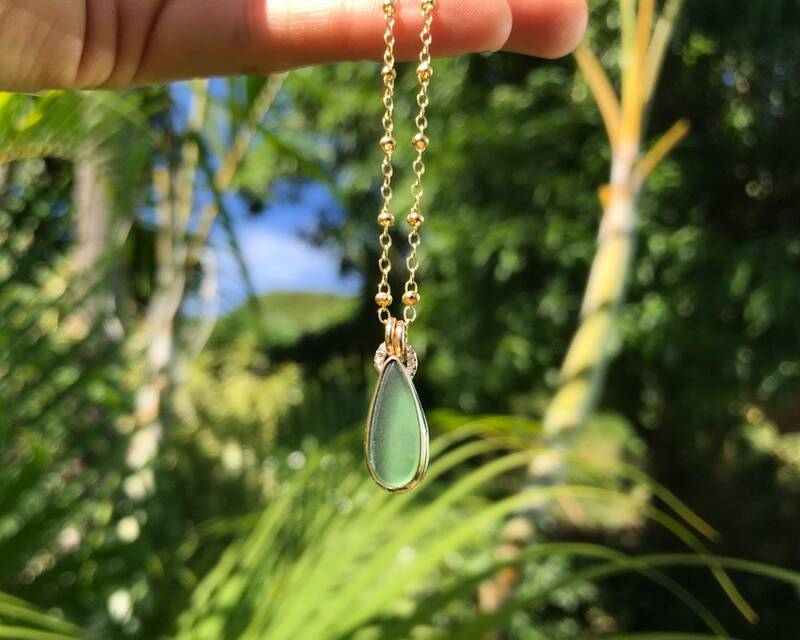 - All the sea glass I use in my jewelry comes from the lovely beaches in western Puerto Rico, mostly Aguada, at the beach near my home. 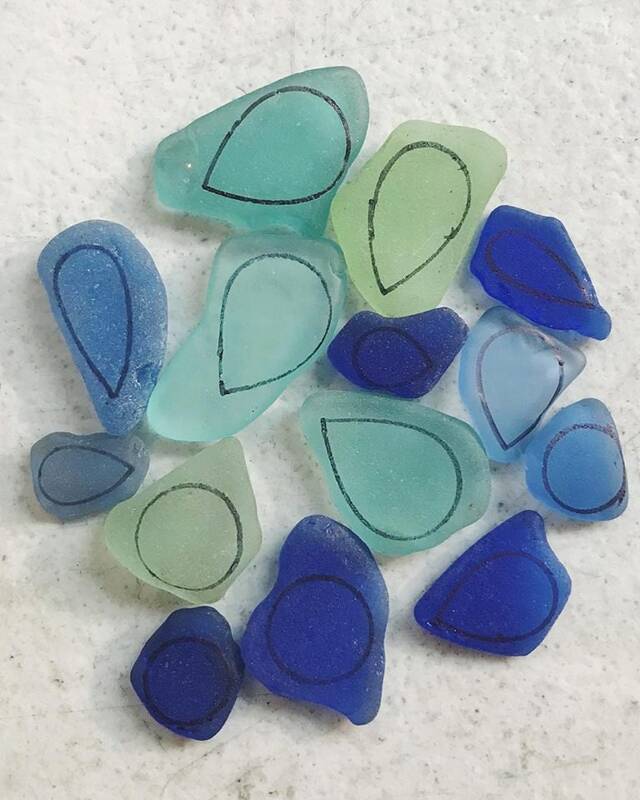 - Sea glass has history. It takes 20 to 30 years to form, and sometimes as much as 50 years to acquire its characteristic texture and shape. 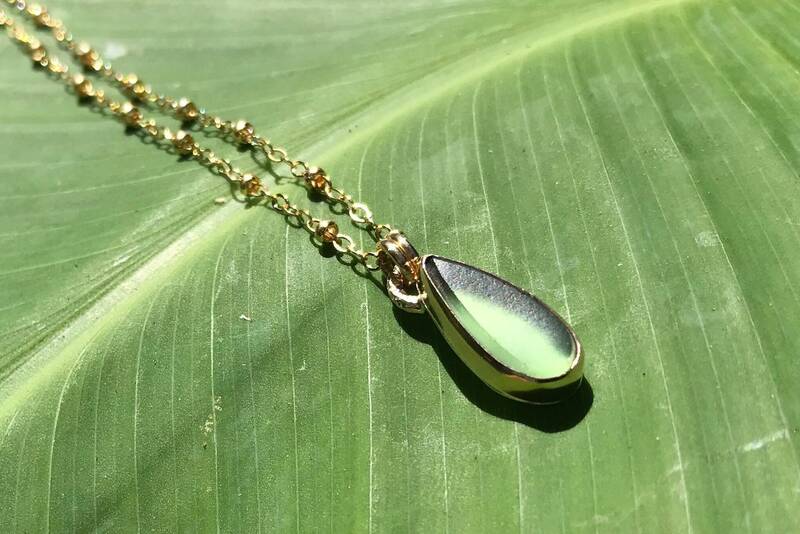 It originates as pieces of glass from broken bottles, broken tableware, or even shipwrecks, which are rolled and tumbled in the ocean for years until all of their edges are rounded off and the slickness of the glass has been worn to a frosted appearance. - It's a metaphor for life! 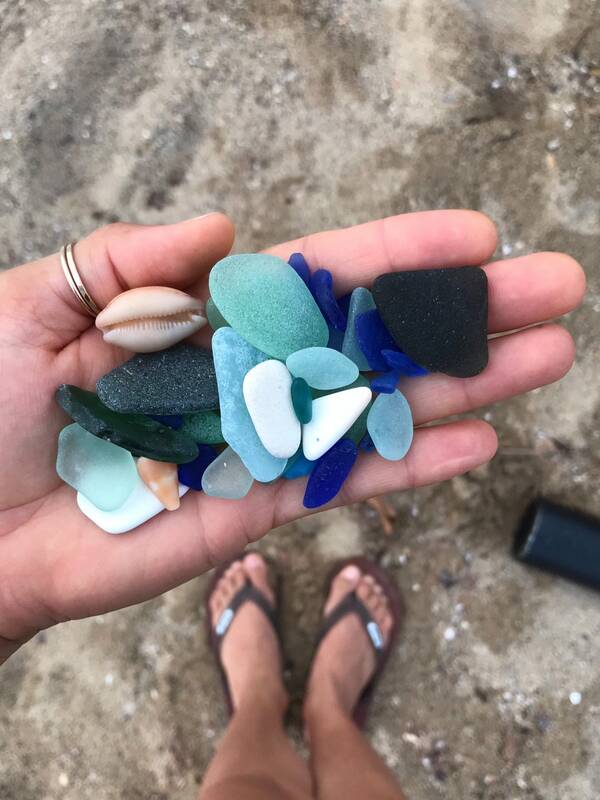 A smooth sea never made a skilled sailor...or a frosted piece of sea glass. Policies Payment I accept Paypal. Policies Shipping Items are shipped via USPS first class. A confirmation number is included when I ship. Ready made items ship in 1-3 business days. Please allow 1-2 weeks before shipping made to order items. For exact shipping estimates on wholesale orders, please get in touch before placing your order. If you need an order expedited, please purchase the priority option when placing your order. Policies Refunds My customer's satisfaction is very important! Please read item descriptions carefully! If you have any questions, message me before you make your purchase. If you are not satisfied when you receive your item please send me a message right away. Returns will only be issued for unused items, in their original condition, within 14 days for a refund. If the item shows signs of use, I cannot issue a refund. Returned items must be approved before you ship back! Custom items are not eligible for a refund. Did your Summer Love purchase break or become damaged outside of the normal wear and tear? Message me and I'll be happy to discuss repair options.